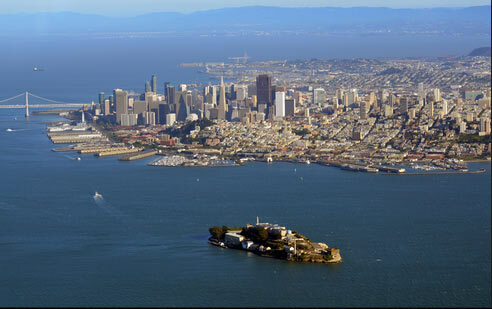 Alcatraz Island is one of five islands in the San Francisco Bay. It is located just 1.5 miles (2.4km) from the northern coastline of San Francisco and has an area of about 22 acres. Since first being documented in 1775, Alcatraz Island has served as a land to native peoples, a U.S. military outpost, a federal high-security prison, and now a popular tourist attraction that draws more than 1.3 million visitors per year due to its rich history. Sites to see on the Alcatraz Island include: the Main Cellhouse, Dinning Hall, Lighthouse, Morgue, Library, Prison Yard, Warden and Officers Quarters, Parade Grounds, and more. There are also several multimedia exhibits on Alcatraz Island detailing periods of its past. Alcatraz Island has been used as a site for several films including: Birdman of Alcatraz (1962), The Enforcer (1976), Escape From Alcaltraz (1979), Murder in the First (1995), The Rock (1996), Catch Me If You Can (2002), X-Men: The Last Stand (2006), and The Book of Eli (2010). Alcatraz Island also hosts a number of sporting events throughout the year such as the Escape from Alcatraz Triathalon and Alcatraz Sharkfest Swim. The island was first documented in 1775 by Spanish explorer, Juan Manuel de Ayala. Juan Manuel de Ayala had mapped the San Francisco Bay and called this particular island “La isla de los alcatraces”, meaning “Island of the Pelicans”, because the Island was home to large colonies of brown pelicans. 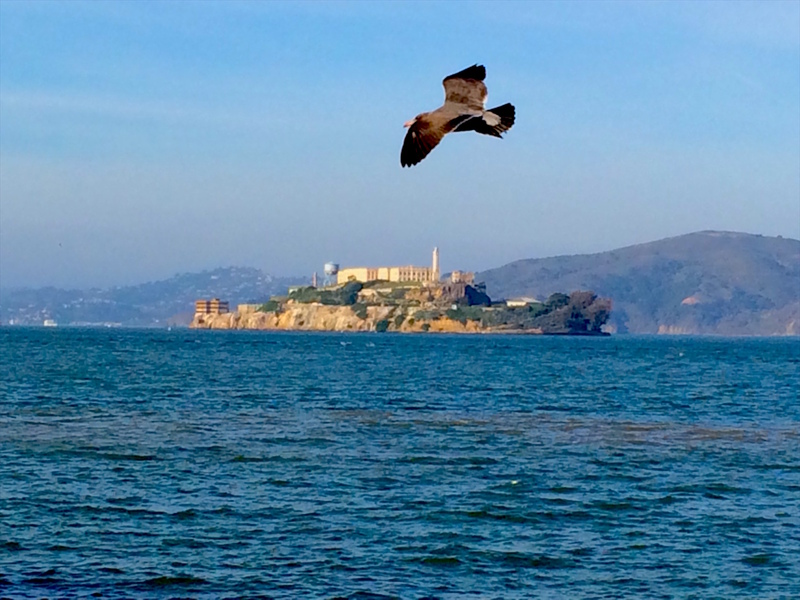 Today, these California brown pelicans no longer reside on the island, but the name still remains as Alcatraz Island. 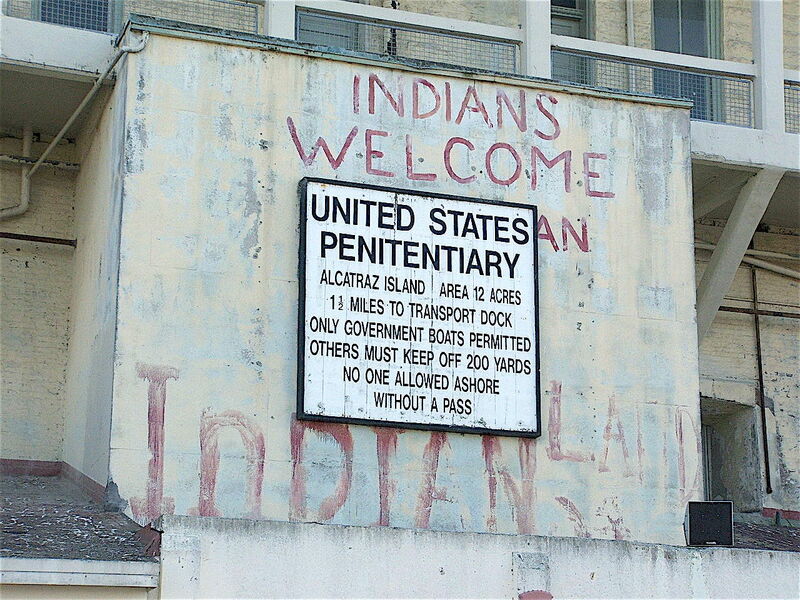 In the years following Alcatraz’s documentation, the island lay under Spanish, and, later, Mexican control and had small buildings and structures built on it. In 1846, John C. Freemont, Military Governor of California, purchased Alcatraz Island on behalf of the United States Government from Mexican Governor, Pio Pico, for $5,000. In 1850, following the Mexican-American War, President Fillmore ordered that Alcatraz Island be used solely for military purposes in order to defend American interests and positions in the San Francisco Bay Area. From 1853 to 1858, Alcatraz Island underwent a series of improvements under the command of Zealous B. Tower to fortify the island, including the installation of a lighthouse, eleven cannons, and a camp for 200 soldiers. When the American Civil War erupted in 1861, Alcatraz Island served as one of the three strategic outposts controlled by Union forces against the Confederacy. (Fort Point and Lime Point were the other two outposts that completed a strategic triangle to protect the entrance of the San Francisco Bay. At this point in time, Alcatraz Island was stockpiled with increased munitions and supplies, being a secure island in the middle of the San Francisco Bay and its firepower was increased to 105 cannons by 1866. Though its cannons were never used, Alcatraz Island had served as a prison to Confederate prisoners or sympathizers since 1861. After the Civil War, it was decided that Alcatraz should be used as a place of detention rather than defense because of the fact that Alcatraz Island was inherently isolated in the middle of San Francisco Bay. In 1867, an official jailhouse was built on the island to hold prisoners, and in 1868, Camp Alcatraz was officially recognized as a long-term detention facility for prisoners of war. Alcatraz Island would continue to serve as a prisoners of war facility until 1946. During the Spanish-American War from 1898-1902, the number of inmates increased dramatically from 26 to over 450 prisoners. In 1909, construction of a new Cellhouse took place and was completed in 1912. As part of this renovation, the previous lighthouse was replaced with the lighthouse that exists on Alcatraz Island today. The newer lighthouse is now the oldest operating lighthouse on the West Coast of the United States. In October of 1933, Alcatraz prison was placed under the control of the Bureau of Prisons where Alcatraz Island served as a federal penitentiary until 1963. Its purpose during this period was to contain some of the most troublesome prisoners from other federal prisons. 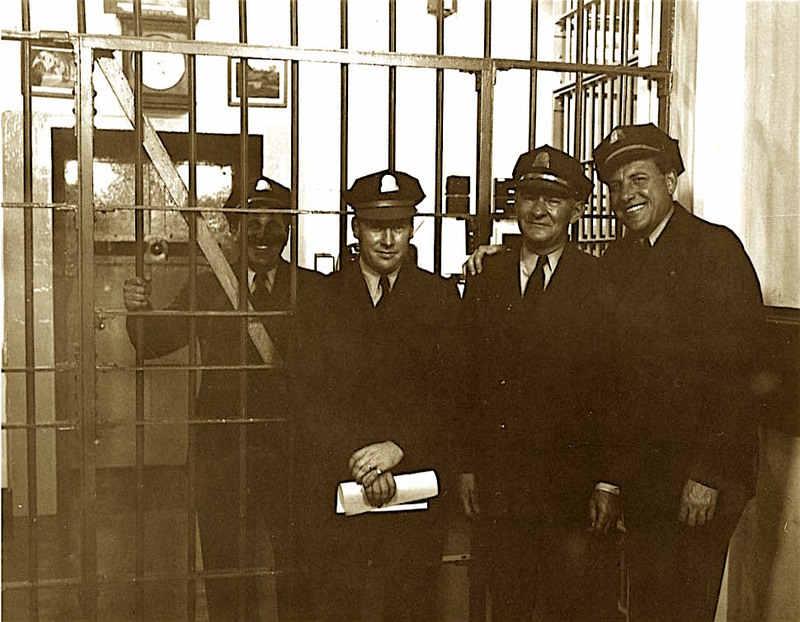 On August 11th, 1934, the first round of 137 transfers arrived from Leavenworth, Kansas to spend the remainder of their sentences at Alcatraz Island. At this time, Warden James A. Johnston operated Alcatraz Prison with help from his associate J.E. Shuttleworth, and a staff of 155 security guards. It is rumored that Johnston fed the prisoners at Alcatraz Penitentiary very well so that the prisoners would stay tranquil. It is also rumored that prisoners in other penitentiaries would try to get themselves transferred to Alcatraz because of the stories about the food at Alcatraz Penitentiary and because each inmate had his own cell, which was safer for the inmates. Many of the individuals housed at Alcatraz Penitentiary over its 29 year life were convicted murderers or notorious villains and such as Al Capone, Robert Franklin Stroud (The Birdman of Alcatraz), Bumpy Johnson, Mickey Cohen, George “Machine Gun” Kelly, James “Whitey” Bulger, Arther R. “Doc” Barker, and Alvin “Creepy” Karpis. Alcatraz Penitentiary had no records of any prisoners escaping Alcatraz Island, also known as the “The Rock”. 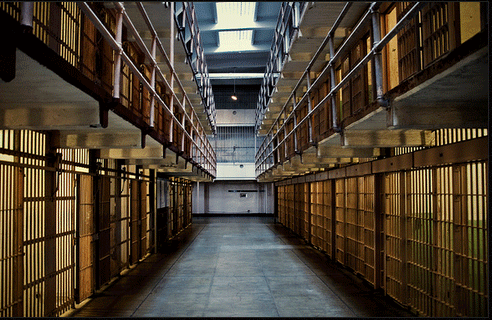 However, there are records of prisoners attempting to escape Alcatraz Island, though none successful. A total of 14 attempts were made by 36 prisoners to escape “The Rock” (2 men tried twice). 23 were captured alive, six were shot and killed during their escape attempt, two drowned, and five others were missing, but assumed drowned in their escape attempt as well. The most violent of these escape attempts was the Battle of Alcatraz, which took place on May 2nd, 1946. This battle took place over two days and two security guards and three inmates were killed with many incumbents receiving injuries. Two other immates were later executed for their part in planning the escape and attack. Another famous escape attempt was that of Frank Morris, John Anglin, and Clearance Anglin on June 11th, 1962. Though inconclusive on whether or not the escapees survived after departing from Alcatraz Island, the three inmates had used papier-mâché to construct heads that they left in their beds to fool the guards and escaped through an unused utility corridor to reach the water’s edge where they departed on a self-constructed raft. It is inconclusive whether or not the three men survived their raft voyage, and historians are still investigating this mystery. Alcatraz Prison was ordered to be closed-down on March 21st, 1963 after Attorney General Robert F. Kennedy determined that the facility was overly costly (approximately $10 per prisoner per day rather than $3 per prisoner per day in other parts of the country). Furthermore, Alcatraz Prison’s fortification walls had experienced a lot of saltwater erosion over the years due to its location in the middle of San Francisco Bay, contributing more cost to keeping Alcatraz Penitentiary running. There was also local resistance towards keeping Alcatraz Penitentiary running since all the sewage from the facility and Bureau of Prisons houses on Alcatraz Island led directly into the San Francisco Bay, creating unpleasant environmental consequences for the locals in the San Francisco Bay Area. 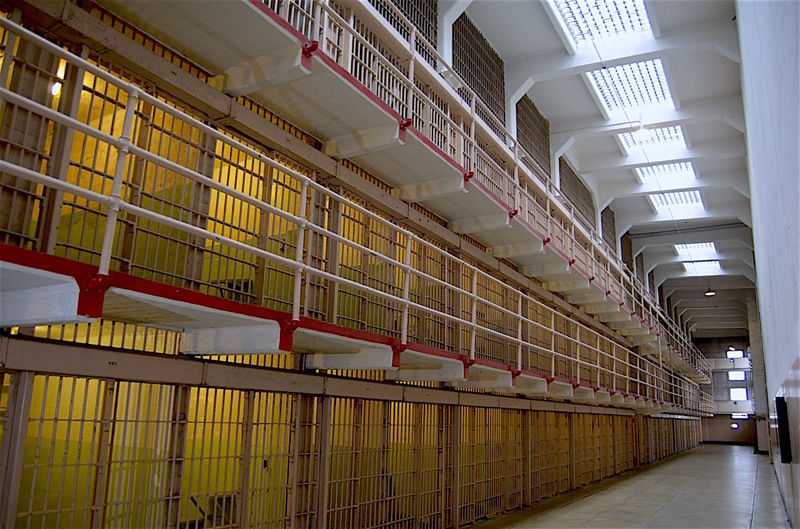 A new prison facility in Marion, Illinois was opened as a replacement facility for Alcatraz Penitentiary later that year. In November of 1969, an unoccupied Alcatraz Island was reclaimed by the United Indians of All Tribes, a group of approximately 100 Native American student activists from San Francisco, led by Mohawk Richard Oakes. This group claimed Alcatraz Island for a period of approximately 19 months justifying their occupation from a clause in the Treaty of Laramie between the United States and Sioux peoples in 1868. This treaty stated that Native Americans had the right to reclaim lands that had previously belonged to them if these lands were retired, abandoned, or went unused by the federal government. With this take-over, the activists brought national awareness to federal policies directed toward Native American peoples living in the United States and even motivated some Native Americans to travel to Alcatraz Island to join in the effort. Furthermore, while occupying Alcatraz Island, the activists demanded that infrastructure on the island be restored and modernized and a Native American educational, ecological, and cultural center be built. The last of the activists were removed in June of 1971, and traces of the occupation can still be found in the graffiti and damaged property that were left behind. A multimedia exhibit highlighting the 19-month occupation was created in 2011 titled “We are still here” and can still be viewed today on Alcatraz Island. In 1972, Alcatraz Island became a national recreation area and later a nationally-recognized historic landmark in 1986. Since then, the National Park Service has offered tours of Alcatraz Island that depart from Pier 33. 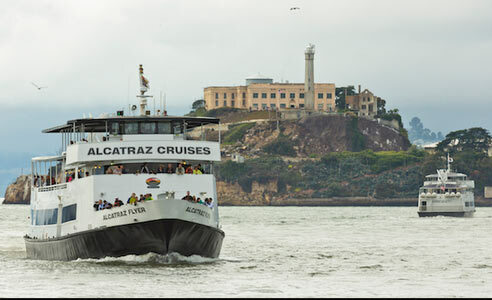 Hornblower Cruises and Events provides the ferry service to and from Alcatraz Island.